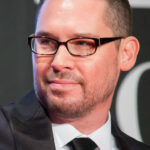 Bryan Singer is an American film director, film producer, writer, and actor. He is the founder of Bad Hat Harry Productions and has produced or co-produced almost all of the films he has directed. Singer wrote and directed his first film in 1988 after graduating from university. His next film, Public Access (1993), was a co-winner of the Grand Jury Prize at the 1993 Sun dance Film Festival. In the mid-1990’s, Singer received critical acclaim for directing the neo-noir crime thriller The Usual Suspects (1995), which starred Gabriel Byrne, Kevin Spacey, Stephen Baldwin, and Benicio del Toro. He followed this with another thriller, Apt Pupil (1998), an adaptation of a Stephen King short story about a boy’s fascination with a Nazi war criminal. "You just have to trust your instincts and hope that if someone doesn’t like your idea, you can prove them wrong in the final process. In the end, you can please some of the people some of the time, but that’s about all you can do." "I know it’s hard to blame the time, but there’s a bit of an expectation for a summer movie. I think that ‘Superman Returns’ was a bit nostalgic and romantic, and I don’t think that was what people were expecting, especially in the summer." "What we call ‘evil’ doesn’t necessarily deserve any kind of respect or understanding, by any means; it just deserves an acknowledgement of its complexity so we can better understand it – so we can help prevent it."